The iaPeel for iPad: Here, it’s for you! How do you improve the newest gadget available? Easy – you add an iaPeel skin! 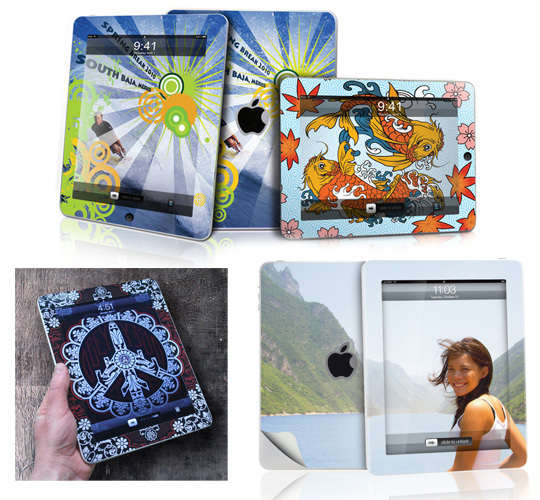 Just like all those great apps you’ve added on your iPad to make it a one-of-a-kind device, an iaPeel skin gives it a custom touch that’s 100% you. And if you don’t want to get hung up on one look for your iPad, it’s no problem – you can change skins as often as you like, with no residue left behind. Easy to design: Use our software, or come up with a design of your own. Easy to print: Just run it through your inkjet printer and you're good to go. Easy to apply: Our videos show you the way - or just follow the directions on the back of the skin. Easy to remove: Change your mood? Have a new design idea in mind? No sweat. Your iaPeel removes easily so you can update your look at any time.